Killer Characters: Mystery Lovers: Are You DYING TO SELL ? 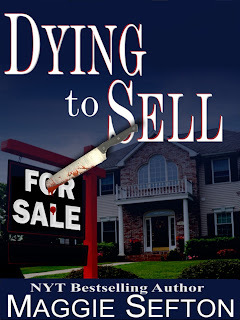 Mystery Lovers: Are You DYING TO SELL ? Bestselling Author, Maggie Sefton's, Knitting Mysteries. Hey, there, everyone. I'm about to run off for a softball practice with Megan and Lisa and the team. But I figured I'd better send out this message first. Otherwise "she" (the writer who hangs around Lambspun all the time and takes notes on what my friends and I are doing), well, "she" left me a note this morning. She wanted me to tell you about this E-book mystery she's put out. Apparently it's a mystery set in Fort Collins, Colorado. I thought, huh? That sounds a lot like Fort Connor to me, but anyway. . .this book was published years ago and now she's turned it into an Ebook. And, she wanted me to tell you guys. "Real estate agent Kate Doyle knew divorce was messy, but she didn’t expect it to be bloody. Kate agrees to sell the home of old friends who’re locked in a bitter divorce. She’s hoping the upscale house will be an easy sell in the Colorado college town. But her hopes turn to horror when she walks into the lawyer-client’s study to find him brutally murdered—stabbed in the throat. “A crime of passion,” says Kate’s police detective brother-in-law. The prime suspect is Kate’s close friend, the spurned wife, who begs Kate to help her. Kate’s meddling turns up some surprising suspects. The successful lawyer deceived numerous ex-lovers as well as his wife. He’d also played off one land developer against another, dangling a choice tract of land as bait. Businesses were ruined and fortunes lost. Had the loser taken revenge on the wily lawyer? Or had an ex-lover killed in jealous rage? Kate’s real estate license helps her dig into the scheming lawyer’s dealings as she sifts clues from cyberspace to crawl space. Unfortunately, her snooping tempts the killer to exercise his own license—to kill." 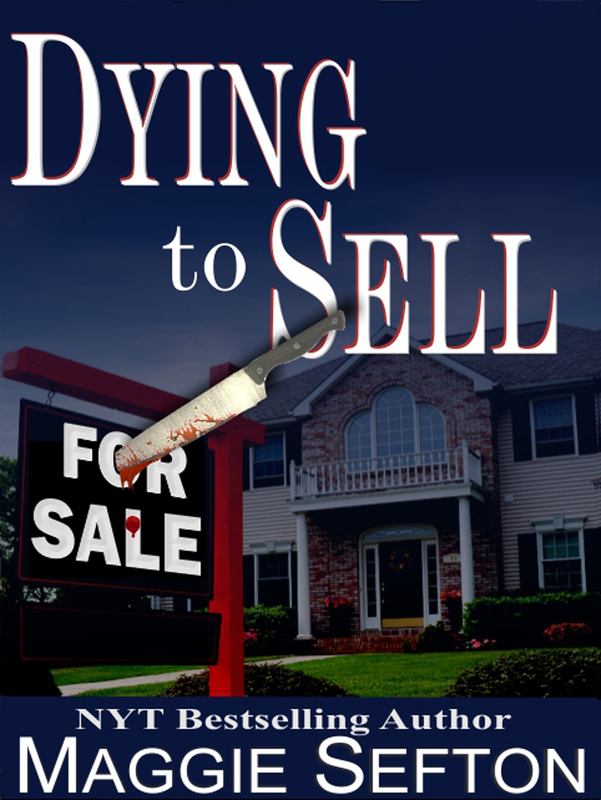 Dying To Sell was originally published in hardcover by Five Star/Tekno Books and published in paperback by Worldwide Mystery Library. Based on your description Kelly, I went and bought it. I'll let you know what I think when I finish it. BTW, I am glad that writer hangs around Lambspun, because I sure enjoy reading about you and your friends! I hope Kate is as clever as Kelly. In this real estate market, I've hear it can be a cutthroat business. But wow! This sounds like a great mystery! We won't tell, Kelly. It's hard on a character when she has to sneak around! Kari---Kate's pretty sharp, so the odds are good. Thanks, Maureen. Let us know how you like it.